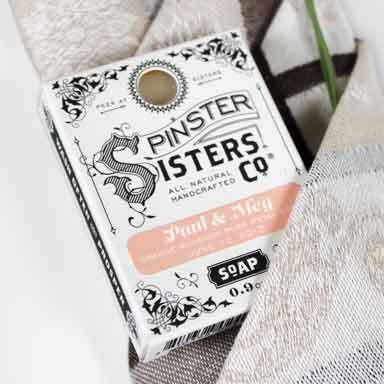 Custom Salt Soak | Custom | Spinster Sisters Co.
Our colorful, fragrant soaks blend essential oils, fine salts, and dried botanicals if desired to create intoxicating blends that relax, revive and rejuvenate the senses. Moisturizing buttermilk, mineral-rich Himalayan Salt, and soothing epsom salt each create a restorative bath in our various Salt Soak types. See them all here. 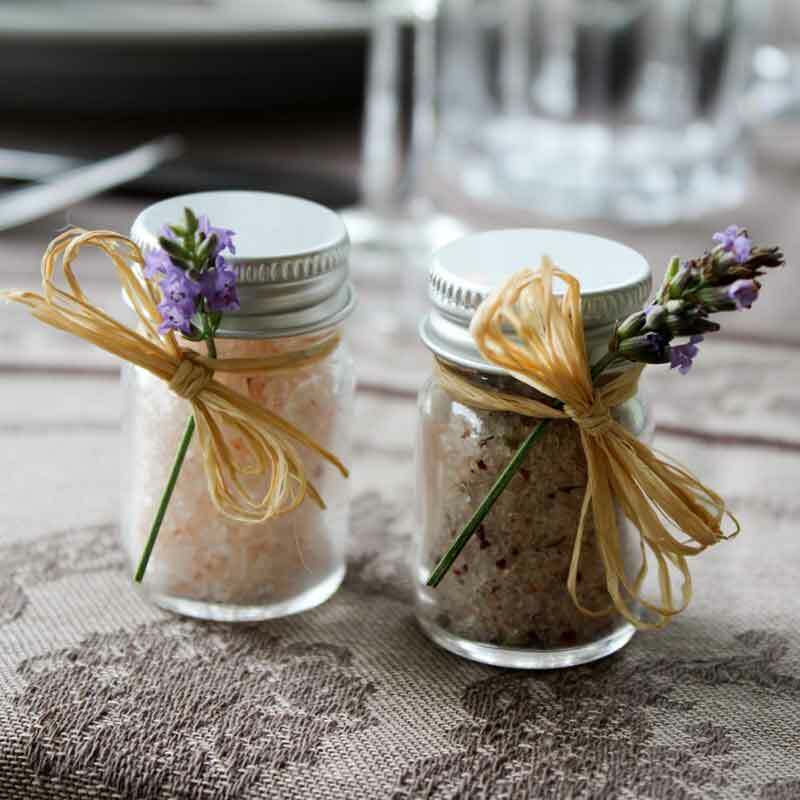 Order our Salt Soaks in a favor-sized bottle for discounted bulk pricing depending on the quantity ordered. Raffia and dried lavender bow available for an additional fee. 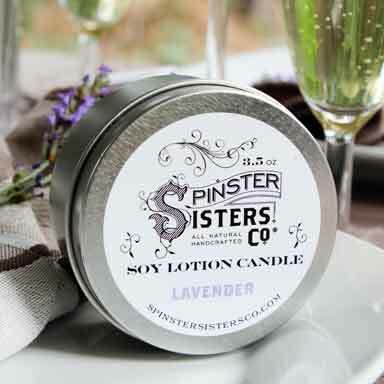 To order, contact us at sales@spinstersistersco.com or call 1-844-SPINSTER ext. 2.